I have since removed time limits on the tests and mock exam. I then recreated accounts for two users including the user I emailed you about on Jan 17 ( I have copied the email below in red font). However I received a complaint from the same user today informing me that the problem persists. The user failed the course, started again and the time did not restart - meaning there still seems to be a limit. 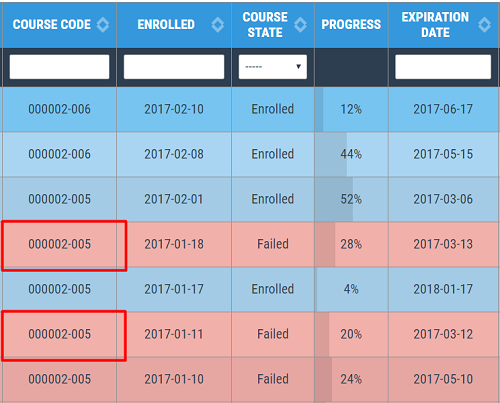 I have checked the user through the Reports / Courses and I see, the enrolled version is -005, same version was also the previous enrollment. That means there was no change to the course or lessons settings. See the picture. I also may see this through the Detailed reporting, where are the limits shown. In case they are removed, the wouldn't appear in the report. You have definitely enrolled the unchanged version 005, thats the result of my observations. 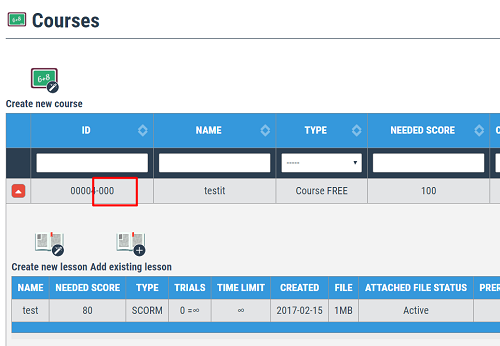 In the Courses module, i see the course is now on the -007 version and the limits are removed. The solution is then enroll this version 007 and the course will work as you expect. You may see in the first picture that the last enrollment is 006 version. Means the 007 was born (you made some changes) recently. Edited 1 time(s). Last edit at 02/15/2017 08:11PM by admin_admin. 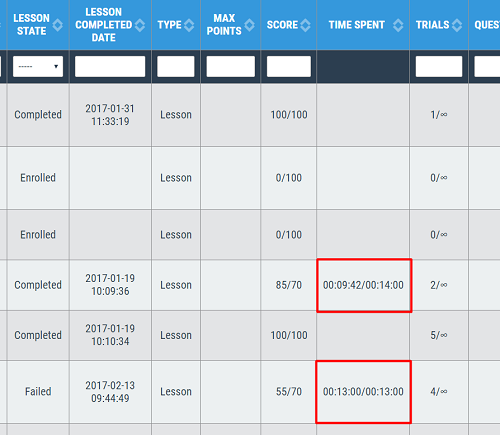 yes, that's because you have to do the course, lesson or questions adaptations first (each changed entry needs to be saved), you will see the course version increased and then enroll again. I there was at least one enrollment of the actual version and you change the lesson structure, the version number will increase. Edited 2 time(s). Last edit at 02/15/2017 08:23PM by admin_admin. I made all the changes. I don't particularly now how to save them but unless you saved my changes, then they saved. But I didn't see the updated version of the course there. Does it need a few hours to propagate? The Course version is updated immediately as you do the changes in its Lessons. When editing parametres of the lesson, change the values as per your needs and use the save button at the end of the form. 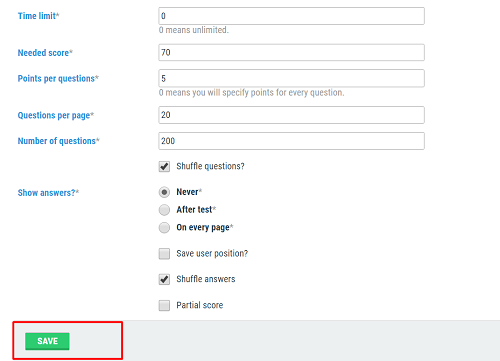 You may also do the change of the Course entry, change the parameters and save.